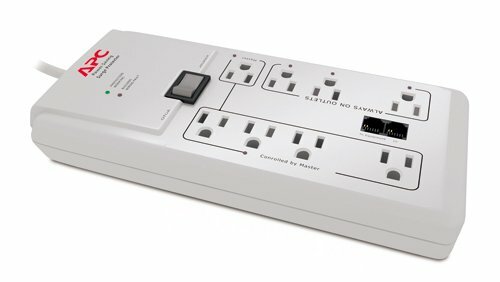 This power surge protector can help solve the dwindling wall outlet conundrum by offering 6 additional standard US 3-prong grounded power outlets. Its compact design, unique desk clamp, and lengthy cable make it easy to create the perfect all in one power setup for the home, office, garage, or workbench. Two outlets are widely spaced to fit large “wall wart” power adapter bricks. 14 inch by 3 inch surge suppression clamping style power strip and charger, with 6 foot attached power cable to wall. 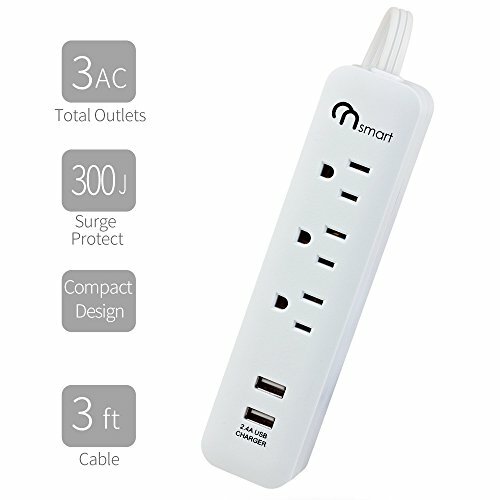 US AC wall outlet plugs. 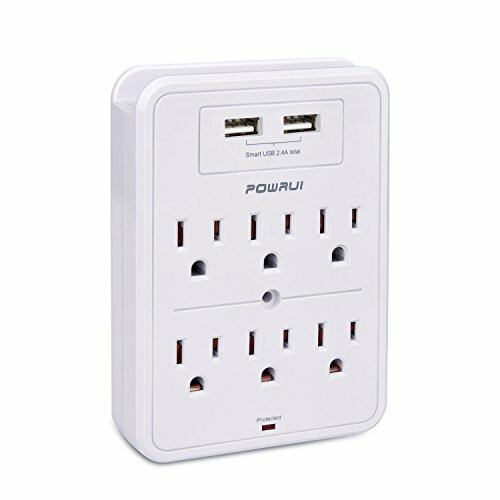 6 surge protected standard US power outlets with 2100 Joules of protection. Featuring a unique and easy to use built-in clamping system for attaching the unit to desks, tables, shelves, and workbenches. Perfect for a garage, computer lab, office, etc. Elegant dark grey design to match professional business products.Two outlets have extra-wide spacing for large “wall wart” power adapter bricks.